This is not a Christmassy post. I could have waited until after Christmas to post a review of a book about brain degeneration, but death and disease do not wait for the right season and I need to write while the effect of the book is still strong in me. Before I retired, I used to work in brain research and when my work took me into the field of early-onset dementias I found very little to read that was written from a relative’s point of view. 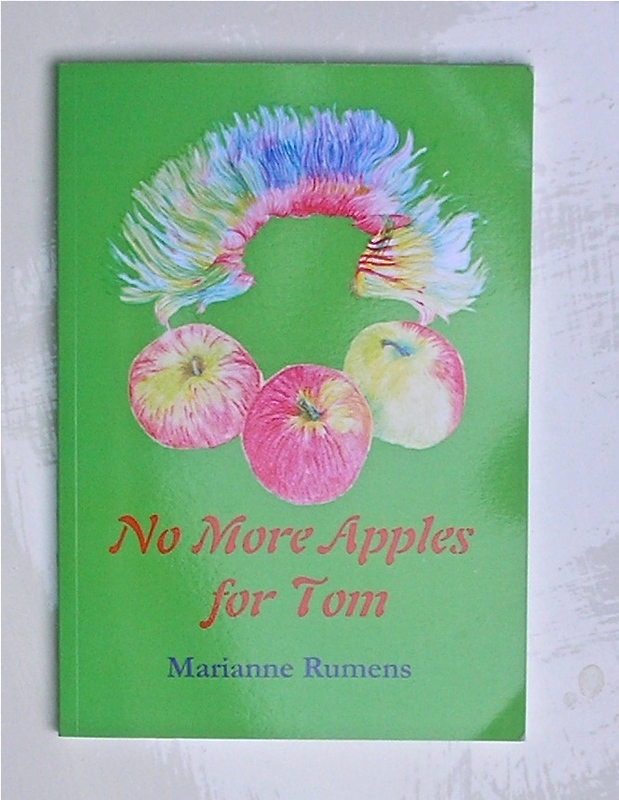 Soon after this, in 2007, Marianne Rumens published her brave account of her husband’s life and death from Frontotemporal Dementia or Pick’s Disease, titled No More Apples for Tom. 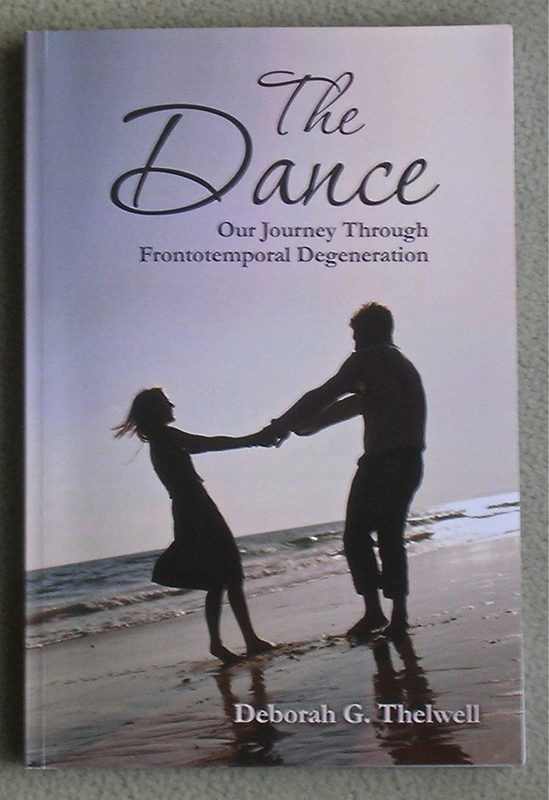 Recently, Deborah G. Thelwell published a similarly brave book, The Dance: Our Journey Through Frontotemporal Degeneration. This is a love story about a long and happy marriage. It is also the story of her husband, Alan, and his devastating brain disease (FTD). Deborah is a nurse, and she writes a blindingly honest, clear and heartfelt description of living with this disease. In particular she charts her experience of FTD’s grim and erratic progress from first diagnosis to last breath. She does this with committed love, but also with clarity – a rare combination. This disease attacks in mid-life, symptoms typically manifest in patients in their mid-fifties, when no-one is expecting brain degeneration and doctors, understandably, look for more likely explanations first. FTD results eventually in dementia, but it is extremely variable, often difficult to diagnose and poorly understood, even by health professionals. This book is an enlightening read for every neuroscientist, doctor, nurse, researcher or student of FTD and other early-onset brain diseases. Because it details the day-to-day changes in behaviour, it shows in devastating detail the way such a disease causes pain to those in contact with it. It shows the many misunderstandings experienced by relatives and sufferers of FTD. I wish that when I was a researcher new to this area I had had this account to hand. I would have had better insight into the lives of those I was trying to understand and both their experience of my efforts and my work would have benefited greatly. For Deborah, re-living this experience as she wrote must have been very hard. But what she has accomplished is a gift to those working in the field and I hope this knowledge will make the effort of writing all worthwhile for her and her family. It is important to say that this is NOT a suitable book for the newly-diagnosed patient or their relatives. There are many variants of FTD and the path of this disease is itself very variable. I have personally known several patients with the same diagnosis whose lives have taken a different course from Deborah and Alan’s. Early diagnosis often changes as the disease progresses and FTD is frequently only confirmed with certainty post-mortem. This entry was posted in Reading, Uncategorized, Writing notes and tagged Brain disease, doctor, Frontotemporal Degeneration, Frontotemporal Dementia, FTD, Marianne Rumens, neuroscience, No More Apples For Tom, nurse, Pick's disease, researcher by hilarycustancegreen. Bookmark the permalink. Thank you. I am just amazed that people like you and Deborah, suffering such profound grief, are able to write so well and convey your love to the rest of us. I suspect I might become a self-pitying heap under the circs. Whereas I know you wouldn’t. You are one of the most courageous people I know. Thank you (blushing). I will try to live up to your belief. Perhaps we have extended our lives physically but brains have as yet to catch up. It amazes me with some people well advanced in age and still as sharp as a pin. I like the idea of some experts that have discovered red wine to be a great defender of mental agility together with insightful enlightenment and growing tolerance.. It must indeed be very hard for a couple to have to witness the decline of a loved one. These brain diseases are different from the age-related ones. People as young as 40 (or with Cretzfeld-Jacob disease even in their teens) have their brains eaten away, while their bodies are still fit. It is heartbreaking to watch people who were looking forward to retirement one day, slowly dying, too young to be admitted to facilities for made for people with brain degeneration. I feel lucky to have reached my age, if my brain goes now, it will be quite natural. I find this alarming for various reasons. I take the disnticion you’re making about age-related problems, but i’m starting to notice these every day now and I’m not talking about me. By a strange coincidence I have just been contacted out of the blue by someone called Emily from NY, who is peddling, among other things, a 14 day miracle cure for dememtia. I don’t believe in miracle cures. I think it might all come down to a better understanding of proteins, but this is an area of great complexity. Meanwhile, I relax with Swedish grammar and write with my left hand. There are as yet no cures, miracle or otherwise, for FTD or other dementias. There are some drugs that gee up whatever memory is left for a while. The best defence is to keep physically active and keep forging new brain connections by doing something new and different – Swedish grammar excellent! Anyone over the age of, say, 65 may have some Alzheimer plaques and tangles and most of us will have some by the time we die, but this is gentle and slow compared to FTD. This is not an easy topic to think of, when one would like to believe that nothing similar will ever happen to him or his close relatives. Thank you for sharing, Hilary. I have read before about your impressive career and have wondered what lead you to this field. May this Christmas be full of blessings for you and your loved ones! I hope you had a happy Christmas time, we certainly did, and were lucky enough to have our closest family all with us. In answer to your question, simple curiosity is what drives me to a rather variable career. I also care very much about people, so that goes into the mix. Hilary, thank you so much for your wonderful review of my work. It was indeed a labour of love. But somehow, pouring my thoughts and fears into the pages and having others understand what it was like for us helped me to step over the first hurdle of grief. I am humbled and flattered by your review. If just one person can be enlightened about this horrible disease, that is one more step towards a greater understanding for those who sit and watch someone disappear before their eyes. I have, through my work, grown to admire people like you beyond measure just for getting from day to day. To keep a record and tell others about it afterwards is another whole level of effort and will contribute towards our eventual mastery of this wretched disease.